A big concerns of cannabis legalization is underage use, and science is here to put it to rest. One of the biggest worries, and arguments against the cannabis legalization movement, is that it could increase teenage use. It is an understandable worry. Fortunately, it appears that these concerns are unfounded, as new long-term research finds legalization doesn’t lead to an increase in underage cannabis use. The researchers, writing in the journal Lancet Psychiatry, outlined how they had conducted national annual surveys for the last 24 years. This was originally done in order to assess whether states legalizing medical cannabis had affected underage use. The results are now considered to be extremely important, as states begin to legalize for recreational use. “Marijuana use by teenagers does not increase after a state legalizes medical marijuana,” said Dr. Deborah Hasin, author of the research. The study also found that underage usage appears to be dropping amongst certain age groups, especially 8th grader children. 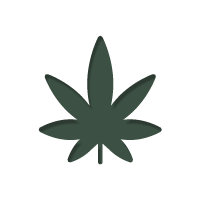 It is theorised that the numbers of underage users has not increased because older adolescents still see cannabis as taboo, whilst younger adolescents have grown up with the idea that it is a medicine. The research itself was conducted between 1991 and 2014 and surveyed 1,098,270 adolescents over this time. It is a hugely significant survey, as not only has it collected a large amount of data, but it was done over a very long period – showing a long term trend. It should hopefully show society that with proper implementation, cannabis legalization is safe.